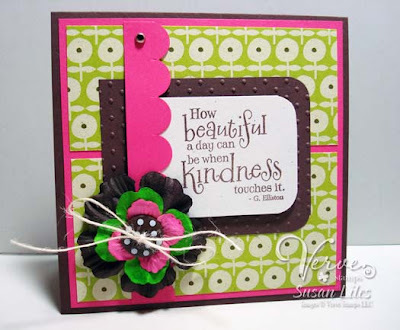 Well it's Saturday and time for Jen's Sketch For You To Try over on her blog, iheart2stamp.com. I have to admit that I made this card last night around 10PM and I was in a hurry and it only took about 20 minutes. I'm gonna tell you why--There are several reasons for my card coming together in two shakes of a sheep's tail and making it look so last minute, but here's my top five excuses. 1. 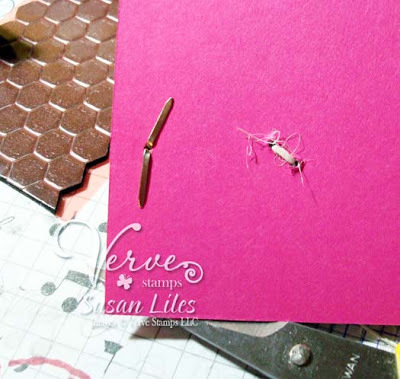 I made another card several days ago for today and it's all ready to go that features a sneak peek at some new MFT stuff, but I had to hold off for various reasons and not show it today. You'll get to see it Monday hopefully! 3. I had to go to Sonic and get a Dr. Pepper Blended Float. 5. My pillow really wanted my head on it. I'm sure I could think of umpteen gillion more reasons, but these are the high notes of most of the truly legitimate fake ones. Anyway, now that you heard my story, I think you'd like to move on to my friend's blogs and see what they've created (and I'm sure spent a lot more time on their cards than I did)! This really is an easy sketch and we hope you play along, using your favorite keyword--SFYTT when uploading anywhere. It's also Julie Lacey's last day with us as Guest Designer. Be sure and give her some going away kisses over on Jen's blog, too. SUSIE Q-TIP: This embellishment is kind of big (ya think?). So to make sure it wasn't going anywhere, I punched two holes in the back of my top card layer and strung my twine up through it, through the middle holes in the flowers (some come like that or you can just punch them too). To secure it, I used a button and ran the twine up through it, tying it in a knot and then a bow. Then just a bit of glue or a glue dot under a piece of the large flower was all I needed to keep it from turning. Aren't you just the smart one? Great idea holding that big embellie! Really nice card! Thanks for sharing! (Don't know if my comments came thru yesterday, but I ordered the new camping set from TCP! Thanks to you!!! Gorgeous, Susan - I can't believe you made this in only 20 minutes! Love what you've done with Jen's sketch! What fun! Great colors and details! I love the paper! Quick and easy, but oh-so-cute, Sus! Love the tip about the heavy embellishments. Great card! Your card is great, thanks for sharing your wonderful creations! Just beautiful! Love those flowers!